I miss grandpa now. It has been 5 few years since I last saw him. The last I heard about him he was suffering from prostate cancer and he was living in Nairobi with Mmbo (Mama’s sister I once told you about), the one who did not give up on any fights, the one who brought laughter into our home every time she visited. I’m sure he would smile if he knew I was in a relationship now. That I try my best to live like him and be like him. As each day goes by, I wonder what he would look like now. Would he remember me? Is he blind now? Or is he still as happy as I last saw him? As I shuffle through my classroom drawer for a set of pencils for the class, I can’t help but miss him. 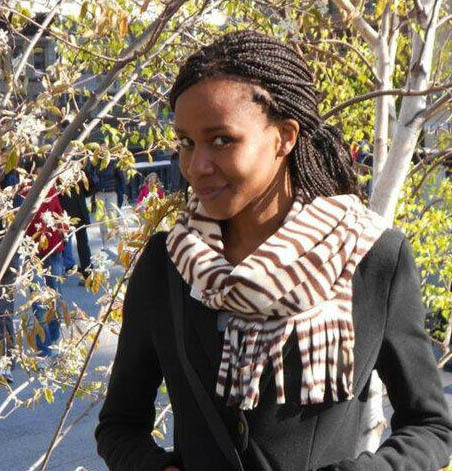 Cynthia is a English reacher and an emerging writer form Kenya. Growing up in Kenya, in a literary tradition that stresses on orality and community in poetic pieces, she came to be particularly attuned to rhythmic sounds and counterpoints. These stylistic features play a huge role in determining the strength in a poem. Inventive rhyme schemes are given a lot of attention and regard in Swahili poems and the beauty in the poems majorly lies in the consistency of the rhyme schemes and the overall musical tone. Singing a Swahili poem showcases not only its musicality also the vast vocabulary in the language itself. She writes poetry and short stories.